Alcides Deck and Fence, Inc. Comment: Hi there, I'm specifically looking for a company that offers financing. 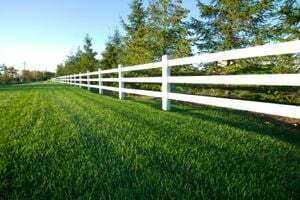 We currently have 600-800 feet of split rail fencing that needs repair - not sure if we want to go vinyl, estate, etc. We would need a quote and if to start immediately, financing options. Thank you! Comment: looking for a company with equipment necessary to set 20 foot wood posts (we have posts). There are a total of 18 posts. Comment: I have an 80' split rail fence with 3 gates that needs to be replaced with 6' aluminum fence with gates. 7618 C Devilbiss Bridge Rd..
Gaithersburg Fence Contractors are rated 4.74 out of 5 based on 1,431 reviews of 48 pros. Not Looking for Fences Contractors in Gaithersburg, MD?